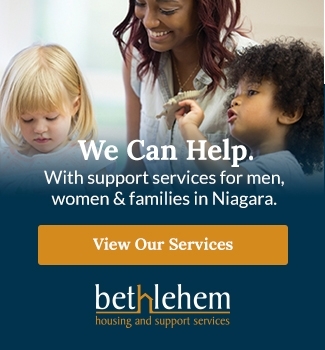 Bethlehem Housing and Support Services is the only organization in the Niagara Region that offers supportive transitional housing and permanent affordable housing for men, women and their children. We all need a secure place to call home! Housing is the foundation on which we build our lives, engage in society and contribute to the economic well-being of our community. When everyone has an affordable, safe place to live, we all benefit. Since 1988, we have helped more than 2,000 families stabilize their lives by providing housing and support services to help them break the cycle and gain the confidence, skills and health to remain securely housed. If you are in immediate danger, call 911. If you require emergency housing or shelter, call 211. Due to a lack of affordable housing, there are currently 5,500 families on the waitlist for rent-geared-to-income housing in the region of Niagara. While they wait, they are living in substandard rentals, in shelters, on friends’ couches and in cars, even on the streets. They are at increased risk for illness, violence and abuse, and family breakdown. Our goal at Bethlehem Housing and Support Services is to ensure that we are doing everything we can to help men, women and families in need of stable housing in Niagara. Housing is considered to be affordable when a household spends less than 30% of its pre-tax income on adequate shelter. Households that spend more than 30% of their income on shelter are deemed to be in core housing need. Those that spend 50% or more on shelter are in severe housing need. At Bethlehem Housing and Support Services our tenants do not to pay more than 30% of their income on their rent. Transitional Housing provided by our organization offers a staged approach to assist and support client residents in making a successful transition from their current situation to having a safe and stable home. On average, 95% of Bethlehem’s transitional housing residents remain securely housed one year after receiving supportive housing. 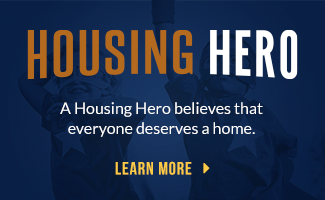 Permanent Supportive Housing provided by our organization offers long term permanent affordable and/or subsidized housing with on-site, community-based supports and advocacy services. Supports may include information, referrals and connection to community services, as well as social and recreational activities.